Got an iPhone, iPod Touch, iPad, or an Android device? With the brand new Families application from TelGen Limited you can now easily transfer your Legacy Family Tree files from your PC to your mobile device, enabling them to be viewed and edited wherever you are. Any changes you make on these devices can then be synced back to your Legacy file on your PC. If you have an iPhone, iPod Touch or iPad, visit the App Store here. If you have an Android device, visit Google Play here. 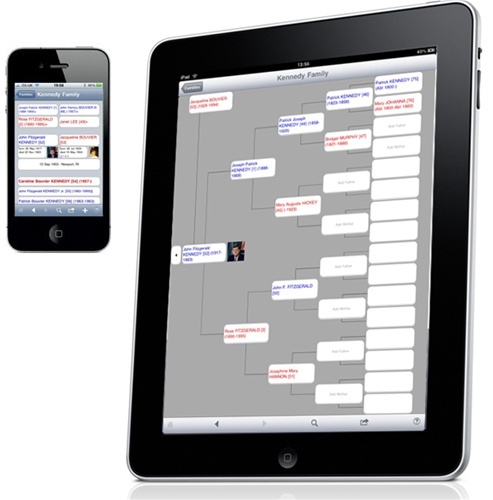 Create your family tree and add names, photos and facts. Explore billions of global historical records. Make discoveries instantly about your ancestors. With the MyHeritage App, you'll never miss an exciting discovery.